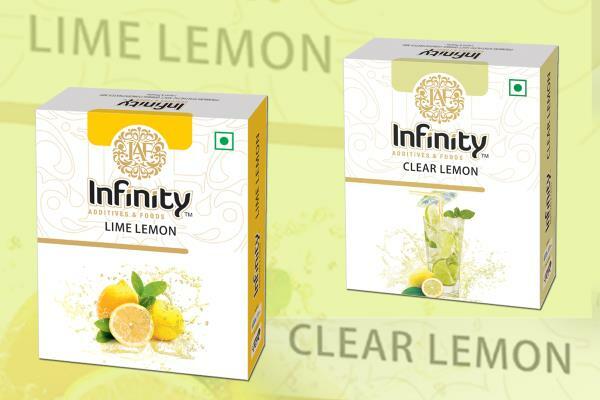 Infinity Additives & Foods is manufacturer and supplier of Premium Quality lime lemon & clear lemon Flavors for soft drinks and Beverages in all INDIA. Infinity Additives & Foods is manufacturer and supplier a Premium Quality lime lemon & clear lemon flavour for soft drinks and Beverages. With a young and dynamic team, we are offering our customers an experience of lifetime which we call as "Experience the Exclusives" with flavours that are not new to the market but surely are on the wish list of customers. Our INFINITY ADDITIVES & FOOD`s team comprising of beverage technologists, flavourists and marketers have considerable experience working with varied products in the beverage space – be it powdered, liquid or emulsions.